Eleven-year-old Michael Murray is the best at two things: keepy-uppies and keeping secrets. His family think he's too young to hear grown-up stuff, but he listens at doors; it's the only way to find out anything. And Michael's heard a secret, one that might explain the bruises on his mother's face. When the whispers at home and on the street become too loud to ignore, Michael begins to wonder if there is an even bigger secret he doesn't know about. Scared of what might happen if anyone finds out, and desperate for life to return to normal, Michael sets out to piece together the truth. But he also has to prepare for the upcoming talent show, keep an eye out for Dirty Alice, his arch-nemesis from down the street, and avoid eating Granny's watery stew. 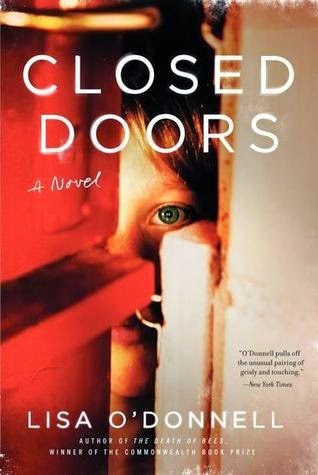 Closed Doors is the startling new novel from the acclaimed author of The Death of Bees. It is a vivid evocation of the fears and freedoms of childhood in the 1980s and a powerful tale of love, the loss of innocence and the importance of family in difficult times. 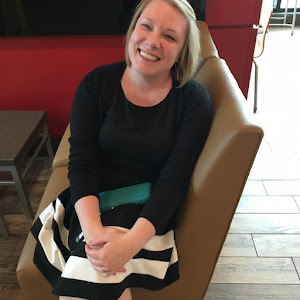 At about this same time last year, I was reading and falling in love with Lisa O'Donnell's The Death of Bees (click here to see my review). Once again, I was impressed by the quality of writing in her latest work, Closed Doors. There are a lot of similarities between the two titles, such as having a child narrator, the loss of childhood innocence as a result of dark and difficult times, and of course, the overall "coming of age" theme. I fell head over heels for Michael, our eleven year old narrator. He is the perfect picture of the first beginnings of puberty. He is simultaneously intrigued with and revolted by issues of sexuality, particularly women. He wants to be a man and be a part of the adult conversations that he listens in on, but he also isn't ready to handle their depth. In some ways, although Michael is much older, I was reminded of Emma Donaghue's Room, just because of the way that O'Donnell so perfectly captures the age of her narrator. It was done flawlessly, which I think is a true accomplishment for any author trying to write from a child's point of view. As with the writing, I was impressed. I was captivated by the story, but also by the characters. There's something of a mystery running through the plot line, but I think the story is really about the characters and the ways they grow and change. I loved seeing that pretty much every character in the book was dynamic and as they deal with some very trying times, they all grow. It kept my up super late to finish, and there's really no better praise than that. I highly recommend giving this author a try. She's officially on my watch list - whatever she publishes in the future, I'll pick up. I'd recommend this one to people who read and enjoyed The Death of Bees, as well as to those who enjoy child narrators done well, coming of age stories, loss of innocence stories, or books that straddle the line between women's lit and literary fiction. I think this definitely has a cross-gender appeal, as well as a wide age-range. Readers of more serious YA would also enjoy this one. Thank you to TLC for letting me participate in the tour! Click here for a full list of other blogs participating and links to their reviews. Click here to see the author's website, Facebook page, or Twitter feed. I just finished reading The Death of Bees last night! I loved it. Tough subject matter. I wasn't sure how I'd like the different point-of-views, but it meshed nicely. I plan to read this one too! Wow! Great review! I agree that capturing the age of a narrator, particularly when they're young, is tricky. It's a real treat to see an author do this well.